There are more discussions than ever going on now in our society and culture about what is learning, what is an education and what should students be doing in school. To me, there is no doubt that the world is demanding different skills, advanced types of thinking and greater levels of performance. I fully support the emphasis on the 21st Century Skills and the Four C’s (Collaboration, Communication, Creativity and Critical Thinking). However, I also think that we need to add two more C’s to the list. They represent skills that have always been relevant, crucial and gauges of success – but are even more pertinent now more than ever. They are COMMITMENT and CONTRIBUTION. As educators and even students reflect during this annual time of year on graduation, completion, renewal, goals, accomplishments, accolades and more, it seems we need to ask one another what was really gained or learned from any educational experience or situation. Is it about grades? Getting all A’s is definitely very different than barely passing with straight D’s. Presumably, the latter type of student may not have committed or contributed much. But straight A’s may not be the way to indicate true success either. We all know plenty of B and C students who have gone on to not only much success, but also who are also committed to what they do and go on to contribute to major changes in the world. But what seems relevant to both evaluating the past experience, as well as the indication of future success is these ideas of COMMITMENT and CONTRIBUTION. As a student, what did one commit to? In other words, what thing did one devote one’s self to at a high level? In high school, it can be so many things – such as an athletic team, a performance or visual arts group, FFA, a service organization, a club, a class, a project, etc. Did a student invest himself or herself into something? Isn’t this the same basic gauge we use in terms of evaluation relationships and other endeavors? Did one give themselves 100% or more to anything? It seems that if someone did that, then they are not only successful, but have truly gained something, learned something and experienced something. This COMMITMENT to something will be an indicator of the future. Their future endeavors, regardless of if they are related to career, relationships, hobbies, families, organizations, etc., will require high levels of COMMITMENT. Forget the grades or accolades for a moment. But did they commit? Naturally, we can see where many students commit to many things. And that’s wonderful. I’m very concerned about students who did not fully commit to something or anything. Some of them barely slid by with the straight D’s, but some of them might have had great grades – even straight A’s – and not truly committed to something. Again, did they give 100% or more to something – a team, a competitive group, a cause, a project, an organization or something? This seems to be an indication again not only of past and future success, but also of real or true learning, experience and life skills. The second half of the puzzle is CONTRIBUTION. When you think of attending a school or schools, or any educational institution, one final assessment should be CONTRIBUTION. What did any student contribute collectively to their own education, to the culture and success of their school and to the improvement of their overall community? In the end, this is how all of us – as we move from students to working professionals – will be judged right? Did one just attend school or contribute to it? Did one simply play or participate on an athletic team, a performing arts group, a competitive squad, etc. 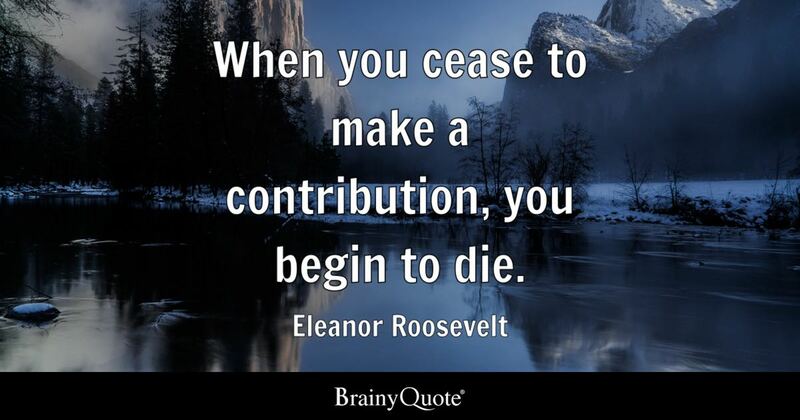 or actually contribute to their overall success? What did the student contribute to their classes and educational culture each and every day? In the end, is this not how all of us are judged in our adult professional communities? Are we viewed as just an employee who comes to work and does just the minimum or are we someone who makes the overall company or organization better and more successful? And whether we talk about church, volunteer organizations, neighborhoods, special interest groups, political parties, etc., isn’t this the difference? Do we just attend and participate at a minimum level or are we game changers? Does our individual presence and work contribute overall to the growth, improvement and success of whatever we’re a part of in any capacity? Those are a lot of questions that represent the same overall theme. The success of our multiple societies and global communities depend on people who do more than just pass through, attend or meet the minimum requirements. We need those who contribute individually to making the collective thing better. It’s not about straight A’s or winning awards. It’s about what do any of us do on a daily basis to contribute to the success of what we all belong to collectively. Our individual contributions to the various collective successes will be what define success. Who will be promoted, have more opportunities and ultimately enjoy more success? It will be those who contribute – or invest themselves – to whatever teams, groups or organizations they are a part of that will feel the power of success. As we celebrate graduations and moving from one level to another, let’s think about these two other C’s – COMMITMENT and CONTRIBUTION. In the end, they will help define and shape the evaluation of any learning experience, as well as indicate the future success. Thank you to those of you who are committed to what you do and contribute regularly to making all you do better. Above grades, awards and more, these are what define real learning and true success. 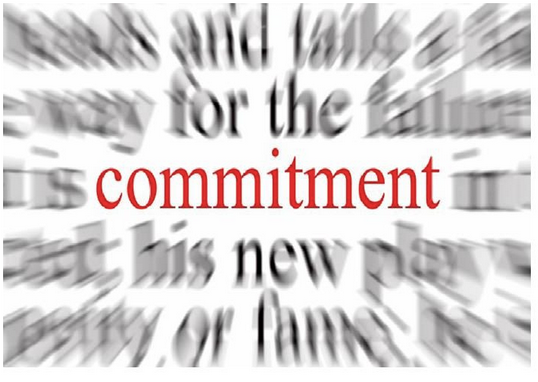 I agree commitment and contribution are important parts of success. I cannot imagine how a person can be successful without both. When talking about these things in a school I wonder how you can measure them. 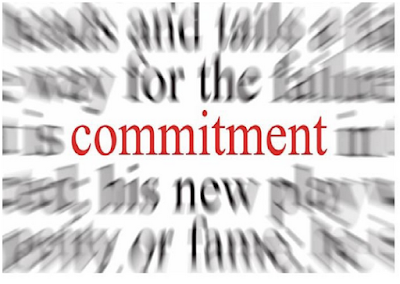 Be it students, teachers, or other staff, how can one measure my level of commitment? Excellent reflection! Going to bring this to my students in class tomorrow!